Safety of our riders and horses is at the heart of everything we do, and is our paramount concern every single day. 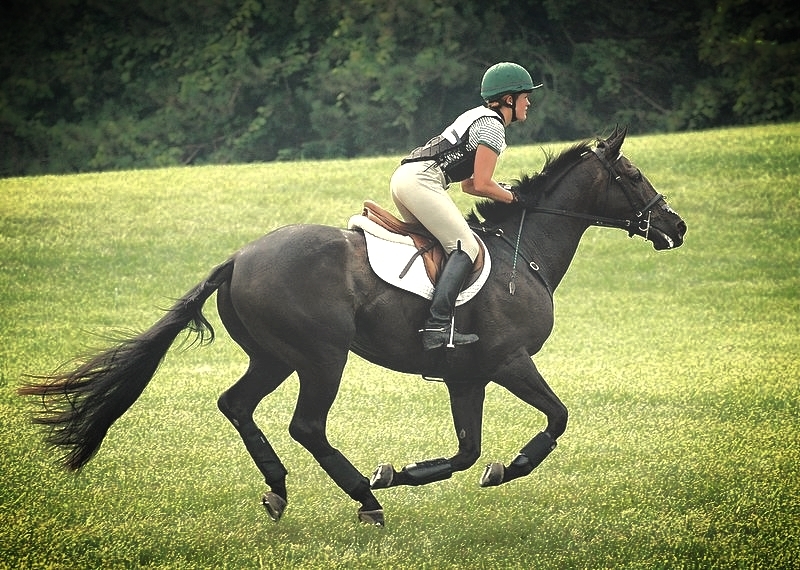 Safety in Eventing is of the utmost importance and the USEA will continue to lead the world in efforts to safeguard the well-being of our riders and horses. Thanks to the generous support of our members, and all who love Eventing, the USEA Foundation was able to raise a total of $160,000 to fully fund the 2016-2018 Collapsible Fence Study. The study, led by Dr. Suzanne Smith of the University of Kentucky, has now come to its conclusion and we plan to share the findings with you shortly. This particular study might be coming to an end but the work to make our sport ever safer is not and never will be finished. Those efforts will continue and the USEA and the USEA Foundation are jointly committed to pursuing research into frangible technologies that will continue to build on the work of the Collapsible Fence Study. To accomplish this, the new Frangible Technology Research Project has increased the scope of the study and has expanded to include additional research projects on the USEA Cross-country Safety Committee's agenda. In this fast paced high-tech world, who knows what will be available next month and next year? We will be highlighting some of these projects in the coming weeks and months. Please consider donating to support this important work. USEA Cross-country Safety Committee: Chair Jon Holling; Members: Max Corcoran, Tremaine Cooper, Lesley Grant-Law (CAN), Andy Griffiths (GBR), Jay Hambly (CAN), Malcolm Hook, Jennifer Miller, David O'Connor, Doug Payne, Marvin Savage, David Vos. This study concentrates on how efficiently a horse’s cardiovascular and pulmonary systems function when galloping and jumping across country, and seeks answers to such questions as: Are our horses hearts working harder now than in the past? Does the short format increase pressures in the lung vessels? While equine fatalities during competition are uncommon, the sudden death of an equine athlete during competition is distressing. The goal of the current study is to describe heart rhythm in healthy event horses during the cross-country phase of competition. Results will provide us with an understanding of the spectrum of cardiac responses of healthy horses to this unique and intense exercise and will document the frequency of occurrence of transient, potentially performance-limiting arrhythmias in the sample population. Heart health is of paramount importance to safe and successful competition and the goal of our team of internationally renowned veterinarians and cardiologists is to apply scientific principles to understanding the risks of competition for event horses. Spearheaded by former international event rider, John Staples, and Dr. Reed Ayers, upper level event rider and a Research Assistant Professor at the Colorado School of Mines (Department of Metallurgical and Materials Science), this study monitored horses and riders on the cross-country course to determine the speeds at which the courses are being negotiated. Some surprising data came to light as to the excessive speeds some riders have achieved in order to complete courses inside the time. Thanks to the research done by Messrs. Staples and Ayers many coaches were able to use the data to educate students on the importance of pace. A copy of the GPS Speed Study presentation made at the 2009 Annual Meeting and Convention can be found here.